Bio: Dr. Benjamin Zapilko is a postdoctoral researcher and lead of the team Data Linking at the GESIS department Knowledge Technologies for the Social Sciences (WTS). He joined GESIS in 2007 after his graduation in computer science at University of Koblenz. While working on several projects, he started his research in the field of Semantic Web and Linked Open Data. 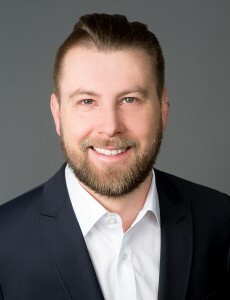 In 2015, he finished his doctoral research on publication and matching of Linked Open Data in the application field of the social sciences at Mannheim University. Benjamin Zapilko is a member of the Steering Committee of the Research Graph project and the RDF Vocabularies Working Group of the DDI Alliance. He was co-organizer of the Library Track at the Ontology Alignment Evaluation Initiative (OAEI) from 2012 to 2014. In this webinar, Dr. Ben Zapilko from GESIS will talk about a new way to link GESIS data records to the global network of scholarly works. In 2017, GESIS started a new project for creating graphs of information available in the German open scholarly platforms. The aim was to connect research datasets to publications and grants both at the national and international level. In this project, GESIS has adopted two RDA outcomes: the RD-Switchboard code from the DDRI WG and DLI services from the Scholix WG. The result of this work will be a large-scale Research Graph cluster that connects GESIS research data (metadata) records to ORCID profiles, Australian National Data Service (ANDS) records, NIH grants, NCI datasets in Australia, SpringerNature SciGraph records and many more international data repositories. This project was seed-funded by the RDA Europe Collaborative scheme. Ben will present the current stage of this project, and show how researchers in the social sciences can explore research information of their domain in order to identify connections between grants, research data and publications. Additionally, researchers/employees of libraries, archives and infrastructure organisations will benefit from the technical implementations of the Switchboard software and the new links to GESIS data created using the Research Graph Augment API.